Diabetes is a major health issue. It is estimated that 30 million people in the United States and nearly 600 million people worldwide have diabetes and the numbers are growing. Type II Diabetes results from a resistance of tissues, especially fat tissues, to the ability of insulin to promote the uptake of glucose from the blood. As a result, blood sugar levels rise producing hyperglycemia. Diabetes is heavily associated with other diseases such as cardiovascular disease, heart attacks, stroke, blindness, kidney disease, and circulatory problems leading to amputations. As a result, diabetes doubles the risk of death of any cause compared to individuals of the same age without diabetes. Type 2 diabetes is a common and increasingly prevalent illness that is largely preventable. One of the reasons for the increasing incidence of Type 2 Diabetes is its association with overweight and obesity which is becoming epidemic in the industrialized world. A leading cause of this is a sedentary life style. Unlike Type I Diabetes, Type II does not require insulin injections. Instead, the treatment and prevention of Type 2 Diabetes focuses on diet, exercise, and weight control. 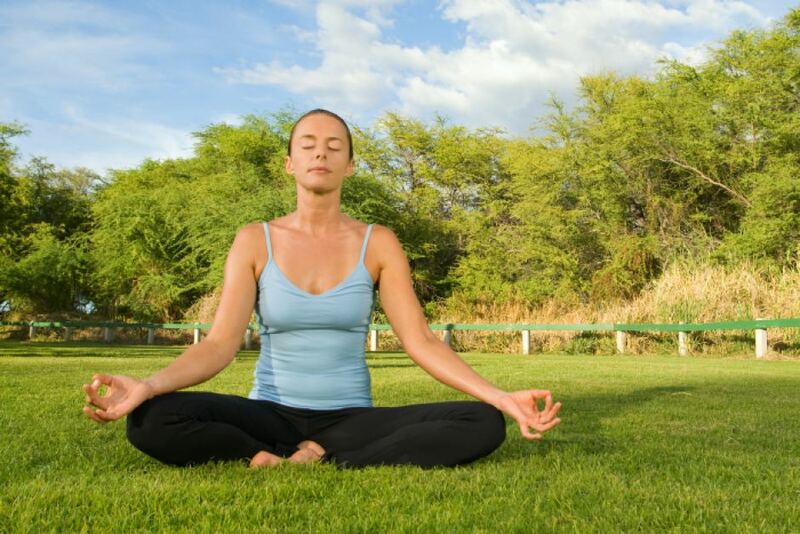 Recently, mindfulness practices have been shown to be helpful in managing diabetes. A mindfulness practice that combines mindfulness with exercise is yoga and it has been shown to be helpful in the treatment of Type II Diabetes. Hence, there is a need to step back and review what has been learned regarding the effectiveness of yoga practice for Type 2 Diabetes. In today’s Research News article “The effects of yoga among adults with type 2 diabetes: A systematic review and meta-analysis.” (See summary below or view the full text of the study at: https://www.ncbi.nlm.nih.gov/pmc/articles/PMC5653446/ ), Thind and colleagues review summarize and perform a meta-analysis of the published research literature of the effectiveness of yoga practice for Type 2 Diabetes. They identified 23 published studies that included a control group. 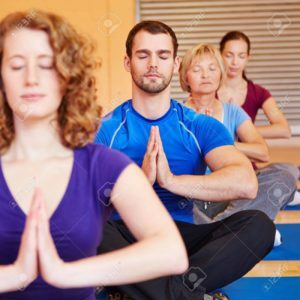 They found that the research studies reported that compared to control participants, the patients who practiced yoga had significantly lower blood glucose levels and significantly improved glycemic control as evidenced by blood levels of HbA1c and/or FBG. The yoga participants also had significantly improved blood fat levels including lower levels of total cholesterol, very-low density lipoprotein, low-density lipoprotein, and triglyceride levels and increased high-density lipoprotein levels. 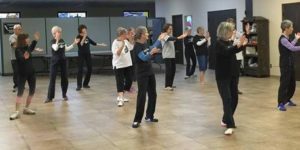 In addition, the after yoga training the patients had significantly lower blood pressure and body mass index, and lower levels of the stress hormone cortisol. These are remarkable findings, but most of these studies did not contain an active exercise control condition. So, the great benefits of yoga practice may be due to the physical exercise provided by yoga rather than anything specific to yoga. More research is needed to clarify this point. 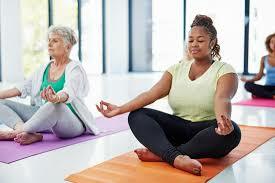 But, regardless, yoga practice has important benefits for adult patients with Type 2 Diabetes improving blood glycemic and lipid control, lowering blood pressure, body size, and stress hormone levels. So, improve Type 2 Diabetes with Yoga. Thind, H., Lantini, R., Balletto, B. L., Donahue, M. L., Salmoirago-Blotcher, E., Bock, B. C., & Scott-Sheldon, L. (2017). 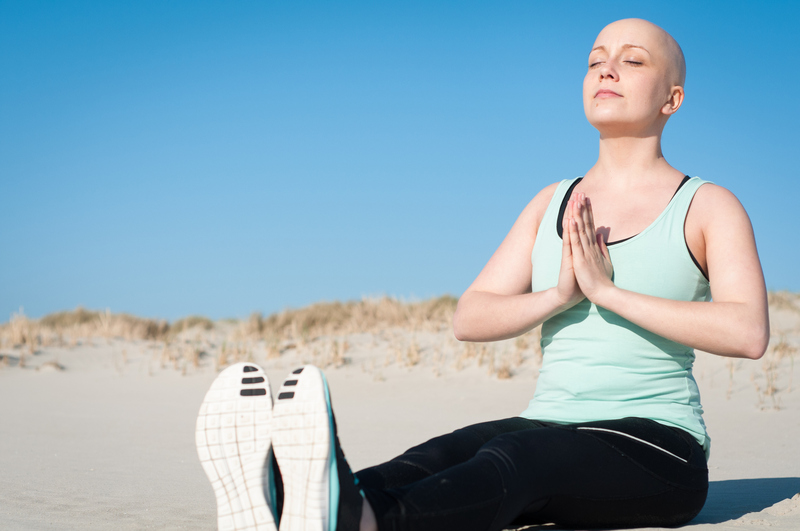 The effects of yoga among adults with type 2 diabetes: A systematic review and meta-analysis. Preventive medicine, 105, 116-126. The purpose of this meta-analysis was to examine the effects of yoga for glycemic control among adults with type 2 diabetes (T2DM). Comprehensive electronic databases searches located 2559 unique studies with relevant key terms. Studies were included if they (1) evaluated a yoga intervention to promote T2DM management, (2) used a comparison group, (3) reported an objective measure of glycemic control at post-intervention, and (4) had follow-up length or post-test of at least 8 weeks from baseline. Independent raters coded participant, design and methodological characteristics and intervention content. Summary effect sizes and 95% confidence intervals (CI) were calculated. Twenty-three studies with 2473 participants (mean age = 53 years; 43% women) met eligibility criteria. Compared with controls, yoga participants were successful in improving their HbA1c (d + = 0.36, 95% CI = 0.16, 0.56; k = 16), FBG (d+ = 0.58, 95% CI = 0.40, 0.76; k = 20), and PPBG (d + = 0.40, 95% CI = 0.23, 0.56; k = 14). Yoga was also associated with significant improvements in lipid profile, blood pressure, body mass index, waist/hip ratio and cortisol levels. Overall, studies satisfied an average of 41% of the methodological quality (MQ) criteria; MQ score was not associated with any outcome (Ps > 0.05). Yoga improved glycemic outcomes and other risk factors for complications in adults with T2DM relative to a control condition. Additional studies with longer follow-ups are needed to determine the long-term efficacy of yoga for adults with T2DM. Intellectual disabilities involve below average intelligence and relatively slow learning. They are quite common, affecting an estimated 10% of individuals worldwide. These disabilities present problems for the children in learning mathematics, reading and writing. These difficulties, in turn, affect performance in other academic disciplines. 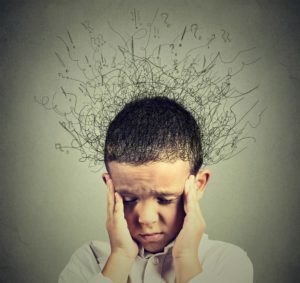 The presence of intellectual disabilities can have serious consequences for the psychological well-being of the children, including their self-esteem and social skills. In addition, anxiety, depression, and conduct disorders often accompany learning disabilities. Not as well known is that children with intellectual disabilities also have motor problems. Mindfulness training has been shown to improve attention, memory, and learning and increase success in school. Exercise has been shown to improve psychomotor performance in children with intellectual disabilities. Yoga is both a mindfulness practice and an exercise that also tends to improve motor ability. So, it would make sense to explore the application of yoga training for the treatment of children with intellectual disabilities. In today’s Research News article “Effect of yoga practices on psycho-motor abilities among intellectually disabled children.” (See summary below or view the full text of the study at: https://www.ncbi.nlm.nih.gov/pmc/articles/PMC6165980/ ), Pise and colleagues recruited children aged 10 to 15 years from a school for the intellectually disabled. They were randomly assigned to a no-treatment control group or to receive yoga training for 1 hour per day, 5 days per week, for 12 weeks. The practice consisted of relaxation, postures, breathing exercises, and meditation. They were measured before and after training for balance, eye-hand coordination, agility, and reaction time. They found that in comparison to baseline after the yoga training there were significant increases balance, eye-hand coordination, and agility, and decreases in reaction time. In comparison to the no treatment control group, the yoga group after training had significantly greater balance and faster reaction times. Hence, yoga practice appears to improve motor performance in children with intellectual disabilities. These results were obtained with a no-treatment control condition. They need to be repeated with an active control condition such as a different exercise to determine if it was yoga practice itself or the exercise provided by yoga practice that was responsible for the improvements. But, nonetheless, the results suggest that yoga practice may be beneficial for children with intellectual disabilities. Improved motor ability might affect their performance in activities and sports and thereby improve their self-esteem. So, improve psychomotor perform of intellectually disabled children with yoga. The children with intellectual disabilities show disorders at motor development and coordination. Hence, the objective of this study was to see the effect of yoga practices on psycho-motor abilities of intellectually disabled children. Seventy intellectually disabled children were divided into experimental group and control group. Both experimental and control group were assessed on the first day and after 12 weeks of the yoga intervention for static balance, eye hand coordination, agility and reaction time. The subjects of experimental group then underwent a training of yoga practices, for 1 hr for a total period of 12 weeks. The result of within group comparison revealed significant improvement in static balance, eye hand coordination, agility, and reaction time (P< 0.001) in subjects of yoga group however no change was observed in control group. The present study demonstrated that 12 weeks of yoga is effective in improving psycho-motor abilities of intellectually disabled children.